Take your performance to the next level. 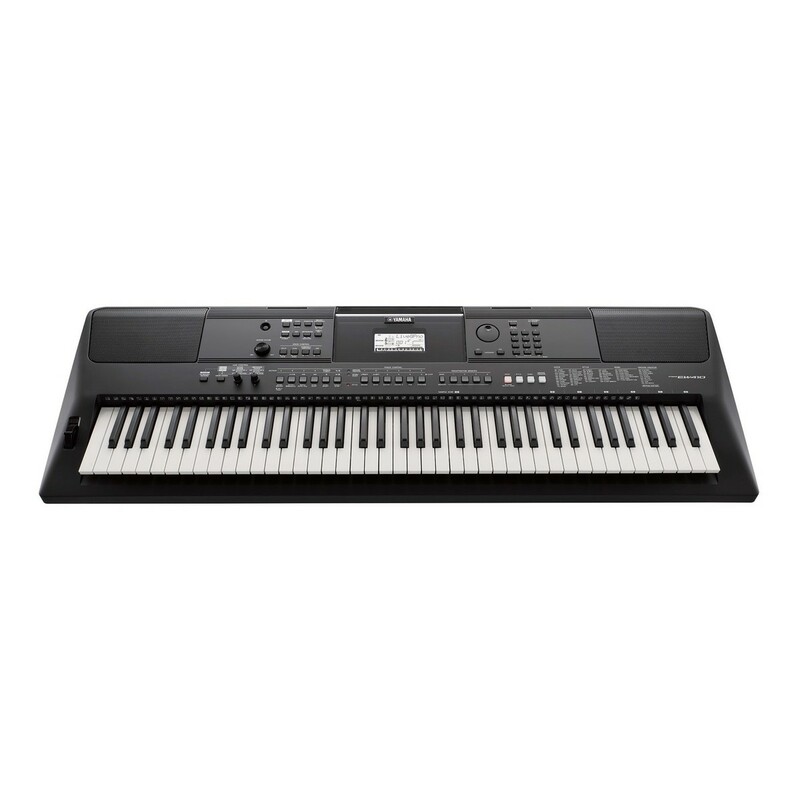 Equipped with a variety of versatile features, the Yamaha PSR EW410 enables you to make music like a pro. 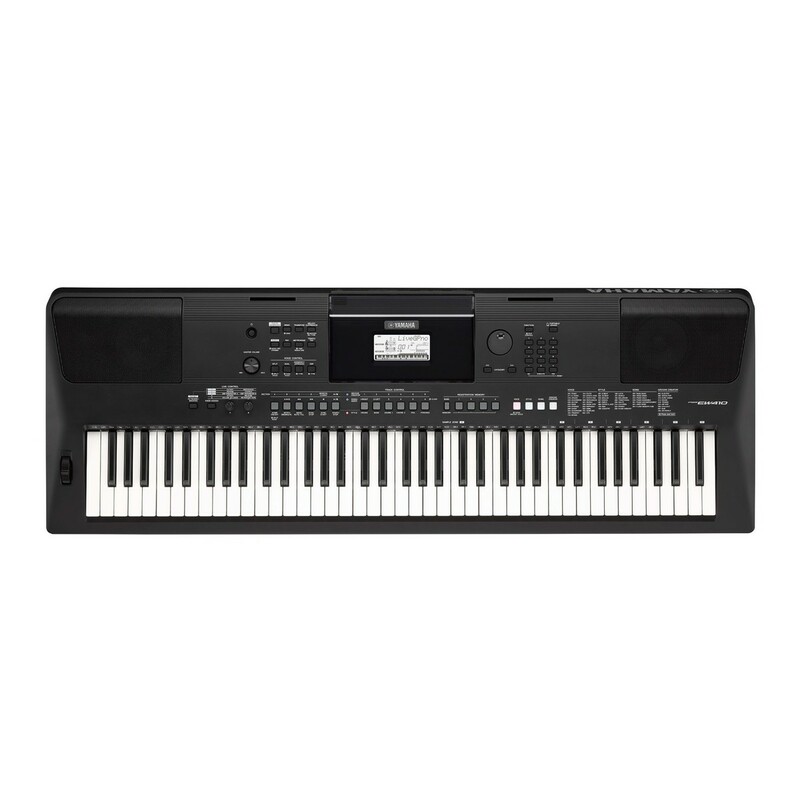 The portable Yamaha PSR EW410 extends your musical horizons with impressive performance features for home, studio, or live use. 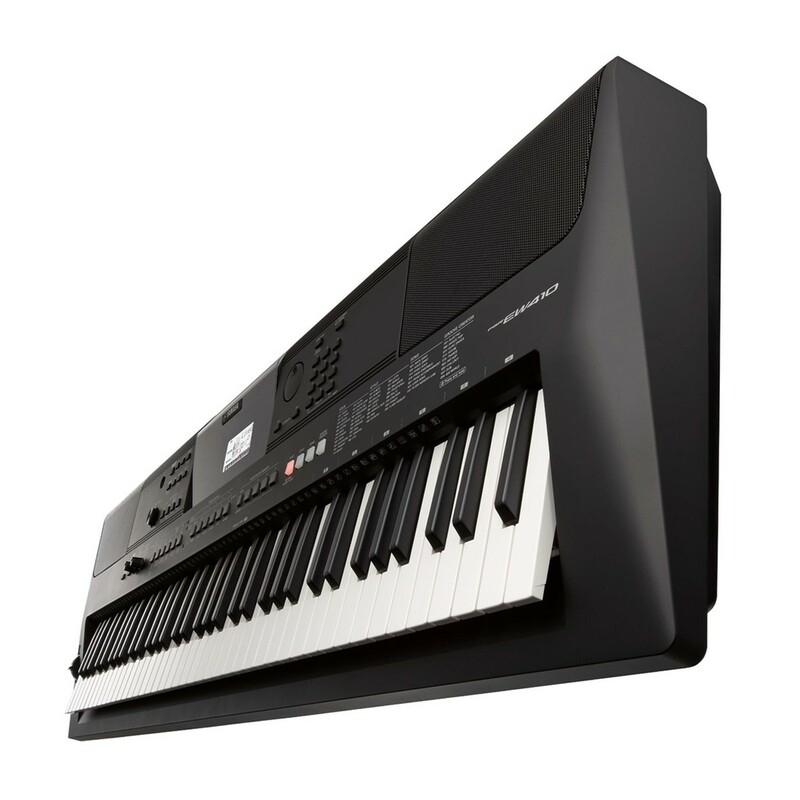 Featuring 76 keys with touch response, the Yamaha PSR will accurately capture every nuance of your playing style. Special Offer: 3 months free Flowkey Premium available on any Yamaha digital piano or keyboard purchased between 15th July 2016 and 31st March 2019. If you think you need years of experience to enjoy making music then think again! Now you can capture and playback your favourite sounds directly from the keyboard by using the AUX input. 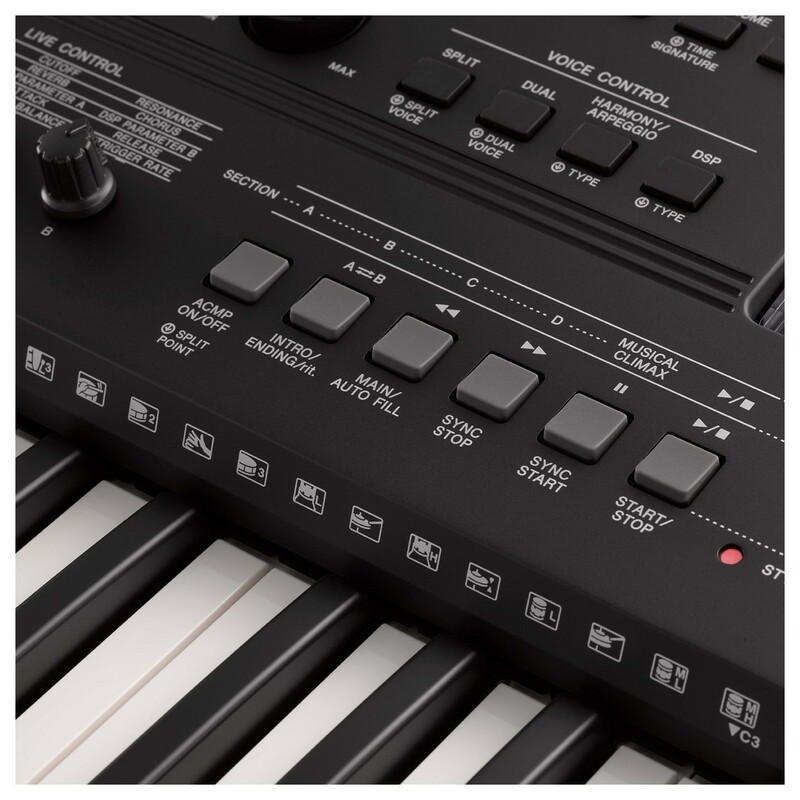 Yamaha's Quick Sampling feature enables you to capture audio from any external audio source and reassign it to the keyboard. 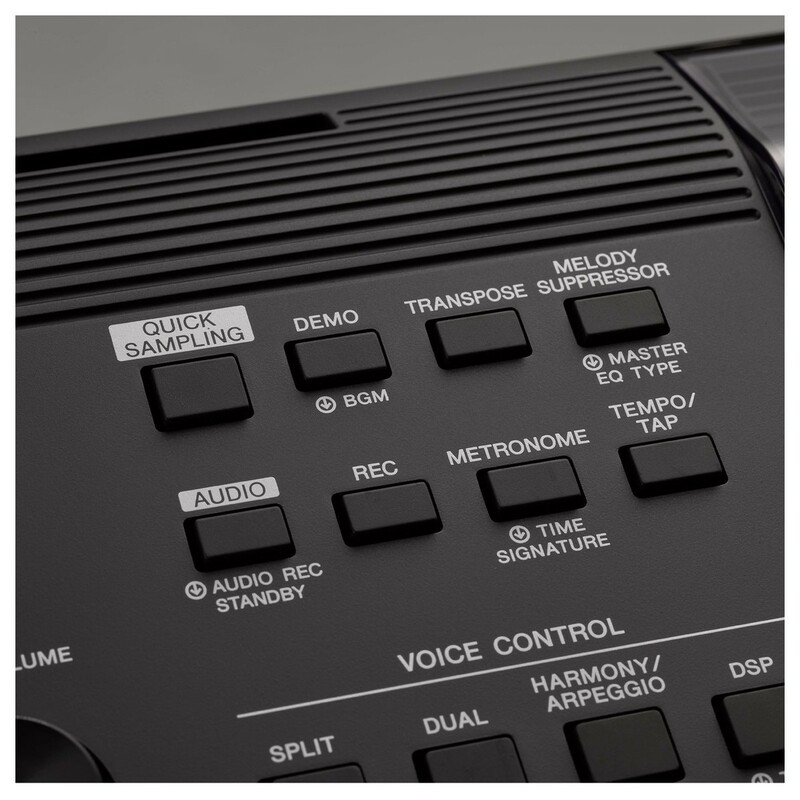 The Yamaha PSR EW410 can playback your samples in three different styles; Normal, Loop, and One-shot. Normal sampling is the most popular style of sampling as it varies the pitch depending on which key you press. Using normal sampling is the quickest and easiest way to create both harmonies and melodies using your favourite sounds. Loop sampling was the original form of sampling and loops the audio without changing the pitch. This simple way of playback was essential to creating the classic drum beats of early hip-hop and is still used in modern music. One-shot sampling plays the audio once without changing the pitch. Best used for SFX and percussion, one-shots can be assigned to specific keys so they can be triggered quickly during a performance. With Yamaha's Groove Creator you can now perform music just like a DJ. Lay down a beat, tweak the groove, adjust the mix and get the party started! You can easily produce your beat by turning each track on/off, altering sections, or add various effects by using the live control knobs. It doesn't matter which genre of dance music you enjoy, you can create it with the Yamaha PSR EW410 digital piano. Not only does the PSR play popular EDM sounds, but the Groove Creator also supports contemporary music from around the world. And once you've finished and mastered your track, you can save it to a USB device and take it with you to your next gig. 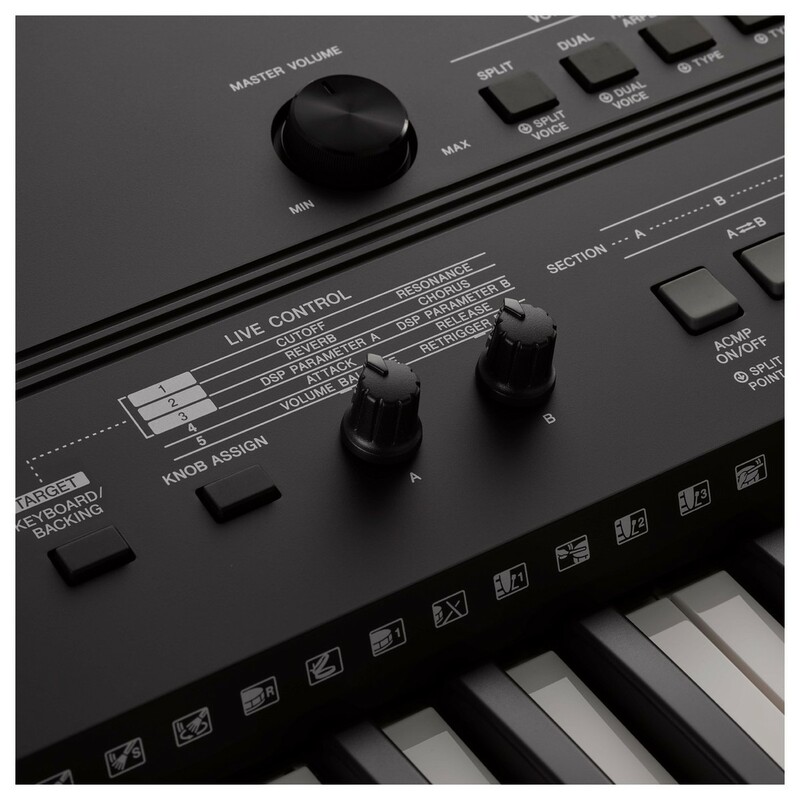 With the assignable live control knobs, you can adjust your sound quickly - just like an analogue synth. 10 DSP effects can also be assigned and adjusted by the dedicated knobs to tweak the dynamics and pitch. Using the pitch bend wheel bring voices such as guitars and saxophones to life while the arpeggio function now offers smoother playability. By making use of the hold mode and the allocated key-range, you are free to focus on improvisation. The included 150 arpeggio patterns evolve dependant on what you play for ultimate freedom. Yamaha and the piano tutorial app flowkey have collaborated for a limited time offer to give you 3 months of premium learning. Simply download the flowkey app on to your smartphone or tablet, register your instrument and begin your subscription. The user friendly interface allows you to learn each song in both a sheet music format as well as a play-along video. Thanks to the adjustable difficulty settings, flowkey can be used by complete novices and developed musicians alike. Premium flowkey members have access to over 500 songs covering major hits from pop, classical, rock and more. This intuitive app can even track your playing and offer instant feedback to help improve your skills. Any Yamaha digital piano purchased between 15th July 2016 and 31st March 2019 is now eligible for three months of premium flowkey access. 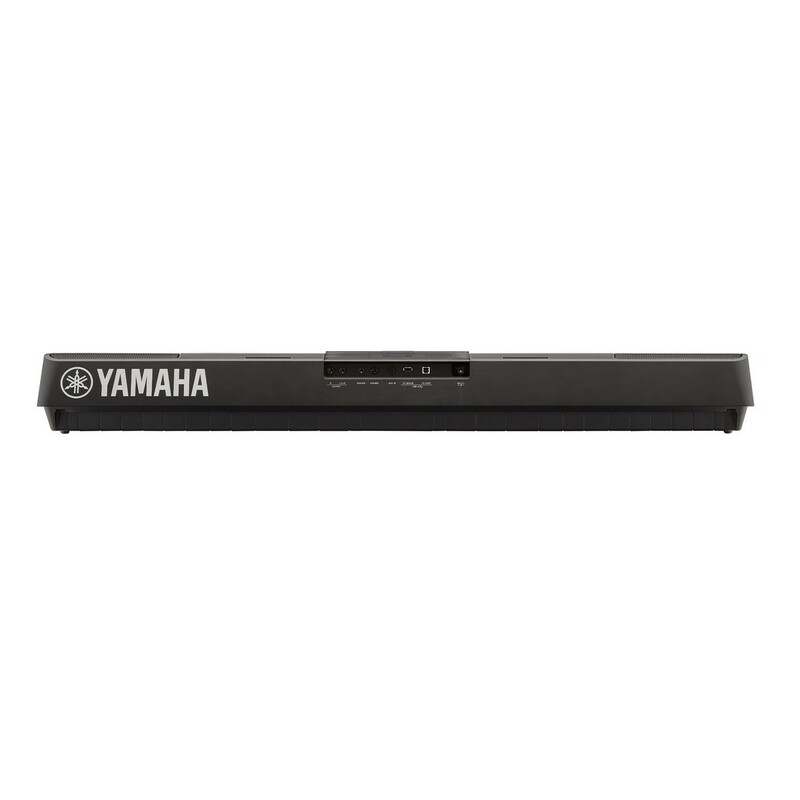 Owner's Manual AC adaptor (PA-300C or an equivalent recommended by Yamaha) Music Rest.